In this long read, we share our plans to grow and scale and our access programme. We know that even when disadvantaged students get the same grades as wealthier peers, they are far less likely to go on to top universities. We believe that academic ability, not background, should determine access to top universities. We aim to be the country’s biggest and most expert provider of free support to students applying to Oxbridge and Medicine. We know that there is a huge problem of diversity and access at the UK’s most selective universities. Anyone who has worked with our access students knows why this is a problem - not just in terms of social mobility, but for top universities themselves. These are the students universities want to attract - they have achieved top grades in much more challenging circumstances than most of their peers, they are motivated, self-directed learners, with enormous potential. Any university looking to compete globally into the future needs a talented, diverse alumni body who will go onto represent their alma mater in a range of sectors. This requires undergraduate admissions policies that attract and recruit the best students regardless of background. Whilst Oxford and Cambridge attract most media attention on this issue, much of the rest of the top 10 most selective universities in the UK face similar issues. When faced with criticism on their poor diversity statistics, these universities rightly point out that their student bodies (roughly) represent the profile of students achieving A*s and As at A Level. The fact that children from the least advantaged backgrounds are significantly less likely to perform well at A Level is a much bigger problem than universities, let alone an organisation the size of OxFizz, can hope to tackle. But this isn’t the whole story here - we know from Sutton Trust research that even when disadvantaged students achieve the same grades as their wealthier peers, they are still significantly less likely to attend top universities. 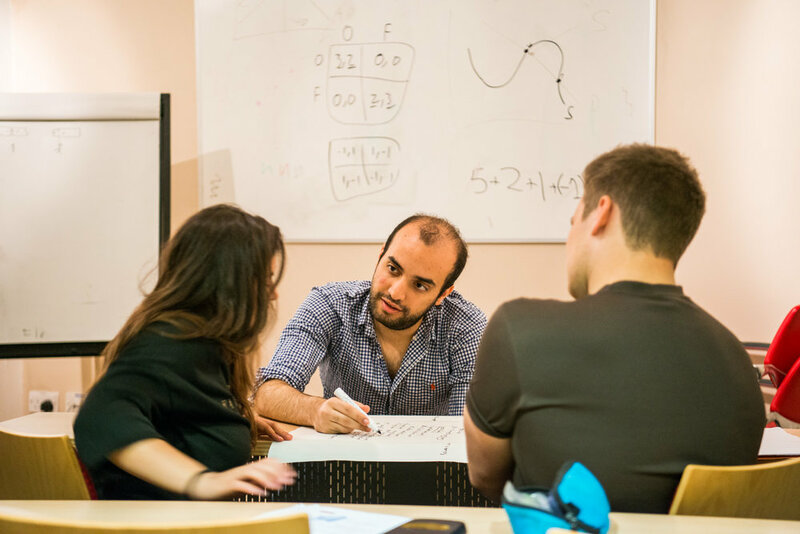 We know that students from low income backgrounds have a wide range of skills that should make them incredibly attractive to admissions tutors - they are motivated, self-directed learners who have overcome many hurdles to achieve the same grades of their more advantaged peers. Without extensive in-school support, students are less likely to be informed about key dates and deadlines, subject and grade requirements, where to access resources, or even what courses are available to them. Mistaken assumptions that universities like Oxford or Cambridge are more expensive also discourage students from applying. Students from low income backgrounds may be put off by the perception that top universities “aren’t for people like me”, and the additional challenges involved in applying to Oxbridge versus other universities. Even when making an application, lack of confidence can negatively impact student performance, especially at interview. 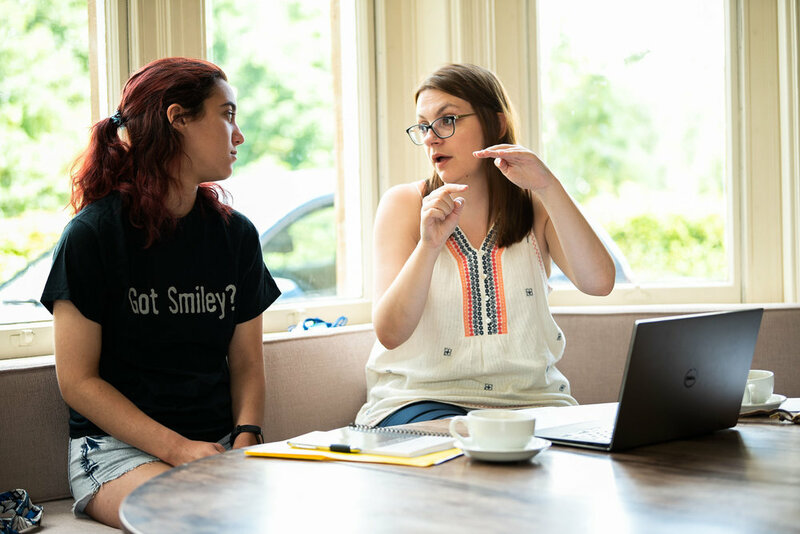 As part of the application process, students face admissions tests and interviews which require an additional set of skills beyond A Level study. Schools and other widening participation initiatives often lack the expert, subject specific knowledge to prepare their students for these hurdles. Thanks to media attention and changes in university funding, there is a thriving sector of support for widening participation in higher education. Many schools and charities provide brilliant quality support and rates of students from low income backgrounds going onto university have increased significantly in the last 20 years (though there are signs this is now stalling). However improvements have been much slower when we look at access to the most selective universities and degree courses. Most widening participation programmes often lack the specialist knowledge needed to support students who are applying to the early UCAS deadline - for Oxbridge and Medicine. Our ambition at OxFizz is to plug this gap. We provide expert in-kind support to existing widening participation programmes, offering additional events to our partner organisations that they may have difficulty delivering themselves. It is our social enterprise model which makes us so good at this - because our staff and volunteers spend so much time working in some of the best schools in the country where we sell our services, we generate skills and expertise than can be shared directly with our access students. In many ways it is this knowledge and skill set which is even more valuable than the financial resource that our paying clients provide, and why we’ll also continue to operate as a social enterprise rather than purely as a charity. How many students have we supported? How many hours of support have we provided per student? What is the profile of these students? What additional resources have we provided them with? We’ll also specifically look at our ratio between paying and non-paying students - our aim is to keep this above 1:1, but believe we can achieve a much better ratio. What do students say about the services they used? How did students measure their confidence, skills and knowledge before and after our interventions? What feedback do we get from partners and teachers? How well did volunteers think sessions were run? How well did we prepare them to deliver excellent services? We’re excited to have launched a new partnership with UCAS, through which we will be able to assess the final destinations of our students, and compare this to a control group of students with the same profile who did not benefit from our services. This is an incredibly valuable data set, of the type non-profits normally struggle to access. We’ll get the first results in summer 2020. It’s important to us that we use this data to track and improve our programmes, but also so that we can be transparent with our supporters about the results we’re achieving - we’ll share regular impact reports with you on all of the above. OxFizz’s access programme has already grown exponentially in the last 3 years. In 2016 we supported 1 access student for every 9 paying students, whereas we’re now inverting that ratio to 2:1. Scaling up and delivering the programme has been no small task; we have drafted formal eligibility criteria; brought on brilliant new partners in the sector; improved and expanded volunteer recruitment and training; developed new services and resources; and put in place new impact measurement processes. All this, combined with making sure we uphold high standards of data security, child protection and communication with our students, partners and volunteers takes up significant time and resources. Currently it costs us only £160 to support one student through a year of preparation for their Oxbridge application. We are able to keep this so low given our model of paying clients covering so many of our overheads. This makes us one of the most cost effective ways for supporters to fund fair access to top universities. For that reason, this year we have started taking donations for our access charity. With the donations we receive, we hope to expand the 2019 programme to support as many disadvantaged students as possible, with the long-term goal of increasing the size of the student cohort again in 2020. After predicted grades, admissions tests are the biggest barrier t access students gaining places at Oxbridge. We already offer a very successful online course for students preparing for the TSA. We now want to develop similar courses for BMAT, LNAT and students applying to Maths. We estimate that creating these courses will cost around £6,000, and that we’ll be able to use these to support around 400 students in year one. Sutton Trust research shows that teacher confidence in supporting students to apply to Oxbridge is a major barrier to applications, particularly in social mobility cold spots areas. Moving our academic resources and training online will enable teachers to upskill and support their students to make strong applications to top universities. This will also cost around £6,000. We’re really excited about this next stage of growth - and very grateful for any donations that will allow us to accelerate it. If you are considering donating to us, please check here or ask your HR team whether your employer runs a matched giving scheme - many big organisations will match your donations up to a certain level. In the meantime, do get in touch if you have any questions - I’m always happy to chat and hear volunteers’ thoughts on our plans. Thank you again for all your support. 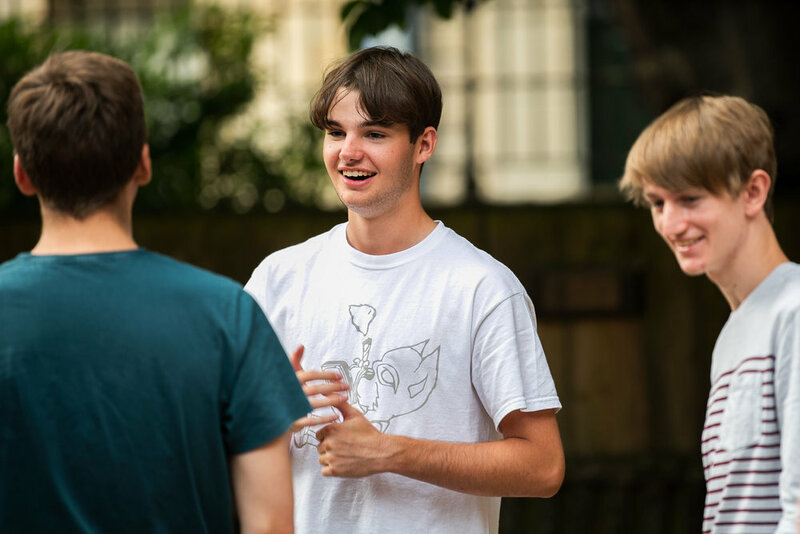 Our ambition is to become the country’s biggest and most expert provider of free support to students applying to Oxbridge and Medicine, so that it is academic ability, not background, that determines access to top universities.